Please indicate which workshop(s) you attended. What was the most memorable moment from your GAAD"Approaching Web Accessibility With a Beginner's Mind" workshop experience? What was the most memorable moment from your GAAD"Student Panel" workshop experience? 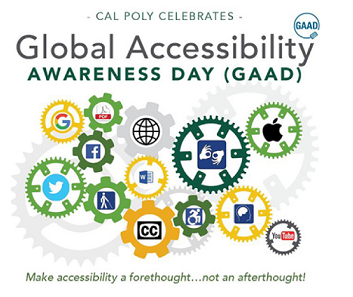 What was the most memorable moment from your GAAD"Creating Accessible Word Documents" workshop experience? How likely are you to recommend to your friends that they attend a GAAD workshop? How likely are you to apply your GAAD workshop experience in everyday life? The GAAD planning team would especially value your feedback for planning future accessibility workshops.